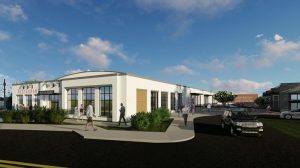 The Bowers Fibers building in lower South End of Charlotte, NC will be getting a face lift, as the space which was previously used for Bower’s Fibers operations for over 70 years, will be redeveloped for leasable retail and office space. The space includes 73,000 square feet and will pay homage to the building’s past by being called Bowers. Near by are establishments such as Queen Park Social, Sugar Creek Brewing Co, and The Olde Mecklenberg Brewery. Construction is aimed to begin in May and is expected to deliver in late 2017. Previous PostAward Winning Project Announced at the Durham Golden Leaf AwardsNext PostWhat’s the status on SouthPark new construction, redevelopment projects?